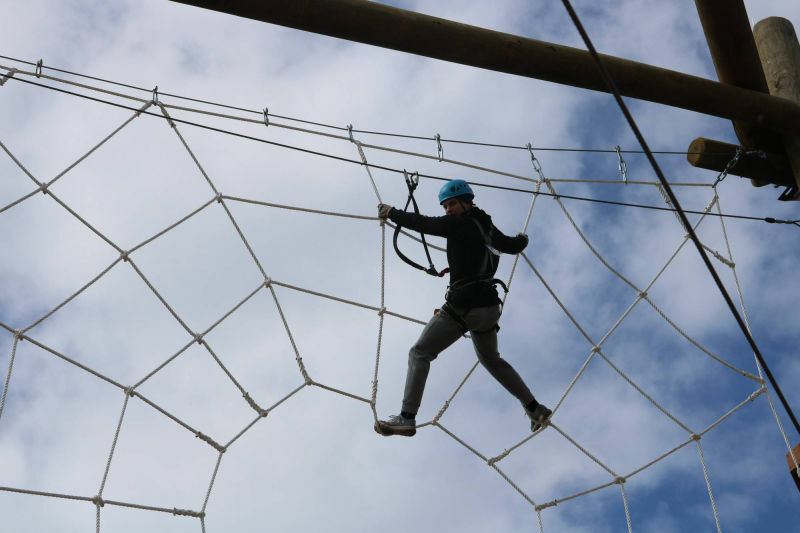 Seattle has many places to go to enjoy an adventure, but to if traversing above ground swinging from ropes and jumping from rope to rope triggers your adrenaline rush, an obstacle course might be for you. Luckily, whether you’re zip lining in Seattle, sprinting over mud or leaping over obstacles on the water, Seattle features all kinds of courses to challenge you. Picture yourself splashing around on an enormous, inflatable playground in the middle of the water. At an inflatable aqua park, you can do exactly that! Are you looking for a fun (and a little messy) obstacle course? Try a tough mud run! There’s usually no shortage of races going on in Seattle —never lacking in fun or mud, of course. Try the Tough Mudder Seattle , usually occuring in September. If you’ve ever watched the TV show American Ninja Warrior, you might have wondered how you would fare on such a course. Believe it or not, Seattle offers several places where you can find out! These gyms typically offer a wide range of obstacles to put you to the test—and of course, they are a great workout. Bounce your way through a perfect day at a trampoline arena! There are many to choose from in Orlando, and many offer an obstacle course and other aerial challenges to take you to new heights. Some party rental companies in Seattle will rent you a blow-up course. They will come out the night before your party event and set-up your bouncy house obstacle course and then deflate and haul it away afterwards. Some courses includes inflatable climbing walls, slides, and there is even an inflable jousting competition arena. Looking for a thrill? 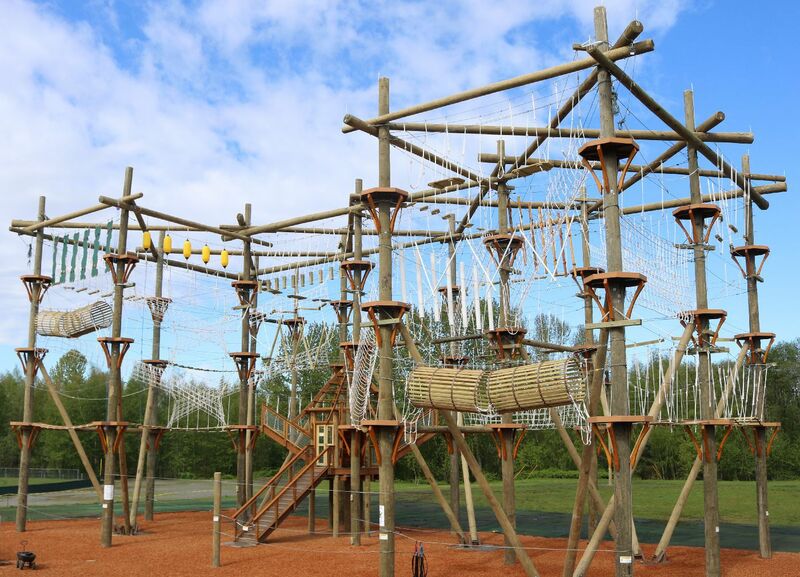 Visit our rope adventure park, just 20 minutes N of Seattle. Here you can find obstacle courses for kids and adults alike. Between our Captain's and Cadets courses, High Trek Adventures has 63 aerial challenges. 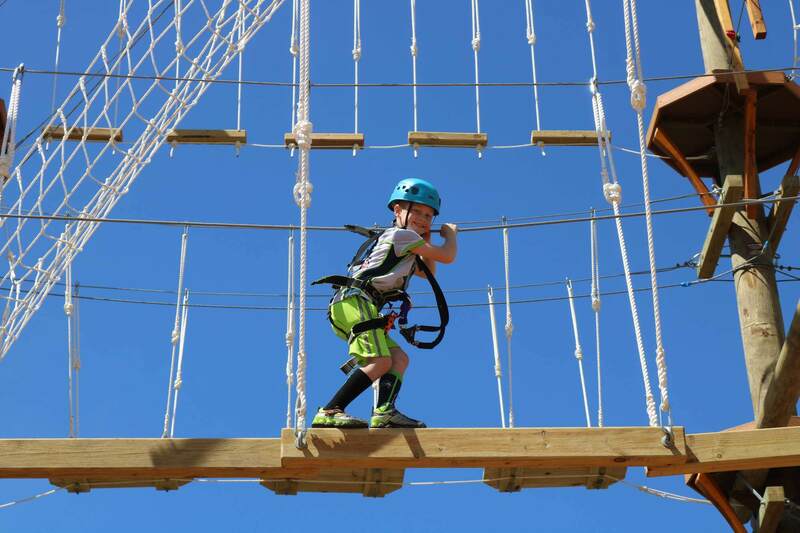 The obstacle courses start off easy and lower to ground, and are color coded by difficulty level getting more difficult as you go to the second and third levels, reaching up to 52 feet in the air! That means there’s something for every thrill seeker, from those who have never climbed before to the pros looking for a real challenge—and there’s nothing like the feeling of conquering the course! We want our rope park to be the next obstacle course you try! 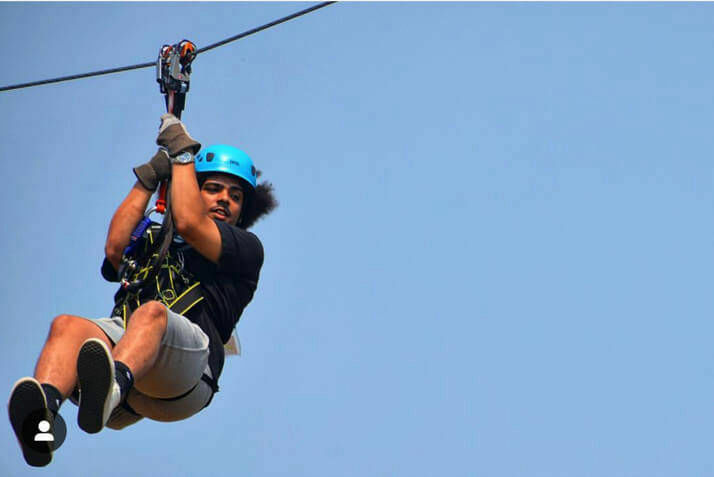 We know you’ll have a long, fun day of adventures with us at High Trek Adventures. BOOK A ROPES COURSE EXPERIENCE NOW!